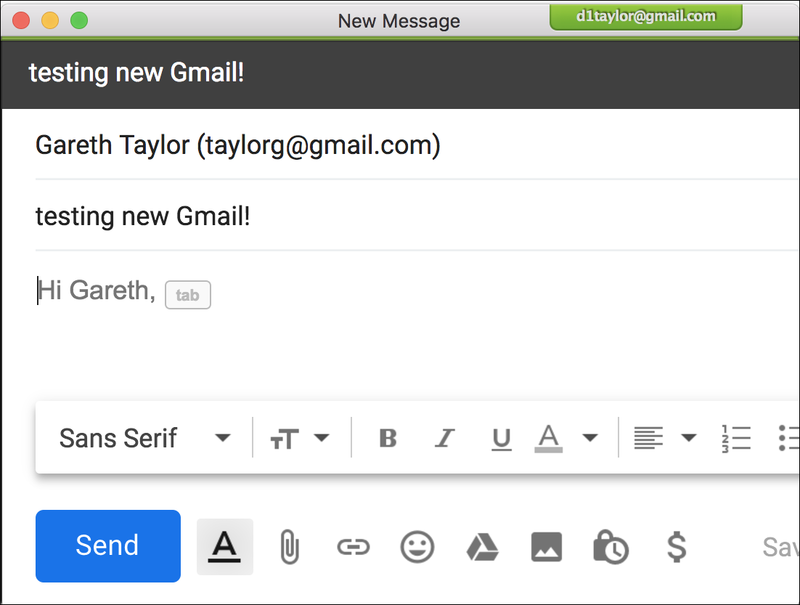 Google released a new user interface for Gmail early spring of 2018 but in a confusingly stealthy manner. In fact, if you don’t actively enable the new look, you’ll just plod along with the classic Gmail experience for quite a while yet to come. Why is that relevant? Because if you don’t have the new interface, you can’t enable the new “experiments” feature which is where you find Smart Compose. See that first choice that’s highlighted with the light grey background? That’s what you want to choose: “Try the new Gmail“. A click and BOOM! it’s all rather quite different (and better, I like the new interface quite a bit). A lot of it are that the shapes of buttons and icons have updated, but there’s also a handy floating palette of buttons the appears over any message your cursor’s floating over, as you’ll quickly learn. It also feels a lot faster and more responsive, which is a great benefit. 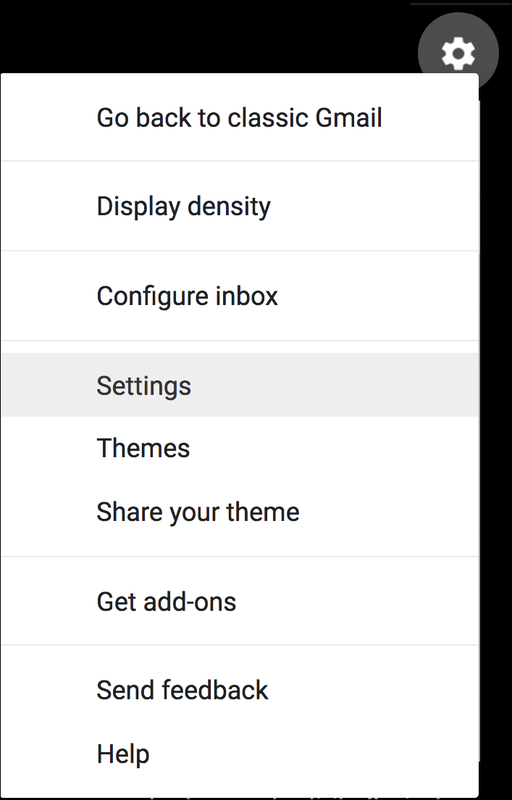 If you hate the new interface, you can pop back with “Go back to classic Gmail“, but that’s not what we want off this menu. Click on “Settings” instead. I know, that’s not what we are looking for, but it’s a really useful feature to set and forget: With Undo Send enabled, you get that few seconds to change your mind and “unsend” an email in Gmail! I’m sure you’ve accidentally clicked send and then had to send a followup email? This lets you avoid that, at the cost of a few seconds delay in actually sending a message. This used to be called Gmail Labs, but now it’s experimental access. Either way, check the box and scroll to the bottom of the Settings page to save the changes. There it is! Choose “Writing suggestions on” and be prepared to be, well, a bit disappointed. Out of the box it doesn’t really offer much, but the more you use Gmail with it enabled, the more it will start to suggest words, phrases and even sentences to help you compose your messages more quickly. In this example, you can see that it’s suggesting a standard email opener of “Hi Gareth,” which I can accept by pressing the Tab key on my keyboard. If I just start typing something else, it’ll vanish, but if I do press Tab it is added to the message and my cursor jumps to the end of the phrase. In practice it’s actually quite cool and I’m really getting to appreciate it after a few days of teaching Smart Compose about my commonly used words and phrases. In a month it’s going to be even that much more useful too. So I suggest give it a whirl, see what you think! Pro Tip: Since you’re here learning about Gmail, I suggest that you check out my many other Gmail help pages and tutorials for your edification too! This feature is BEYOND annoying. It completed a sentence for me and would not allow me to change it to modify the last couple of words. It’s like 21st Century HAL run amok. No thanks. Dave, I just tried the new Gmail. Frankly, the biggest issue with almost all Google products, is that they make you move all over the screen to accomplish anything. This new gmail makes it even worse. The little floating toolbar thingy…….well this would be great, except it’s tied to the right side of the screen. When trying to use it, it’s difficult to see who the email was from before clicking the button(s). Labels ……??? now you have to move to the bottom left of the screen. I hate this. So now , we have to cursor all over the screen. YUCK. Please, Google, don’t force this on us. The old version needs some improvement, but this is NOT it.